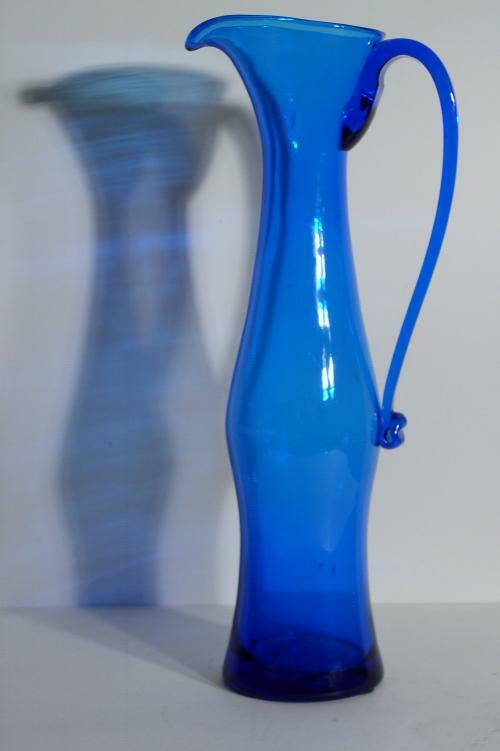 Blenko 6030-L largest version of the three sizes for this Husted 1960 designed slinky pitcher. Base is Acid etch signed and so this one was made in the first year of production. Turquoise blue in excellent condition.